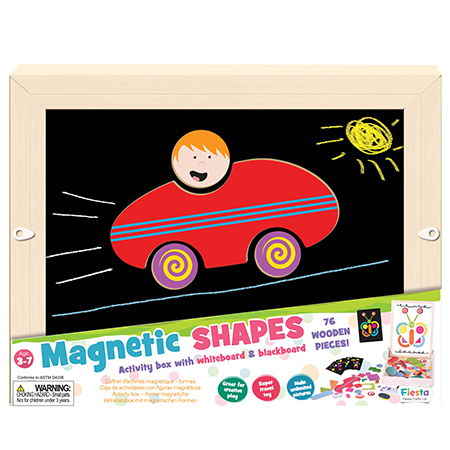 Let your imagination run wild whilst you create unlimited pictures with this magnetic Activity Box! With 76 chunky pieces  perfect for small hands  the possibilities and combinations are endless! Create your own faces or recreate the pictures on the cards, this Activity Box will help understanding of different facial features and different expressions! Also includes dry-wipe pen, chalks and eraser to add fun details to the pictures.